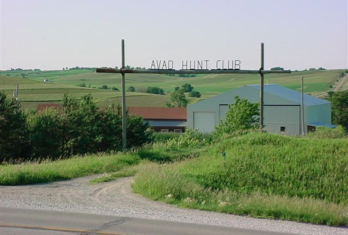 The AVAD Hunt Club is a west central Iowa hunt club that specializes in upland bird hunting. The hunt club offers sporting clay stations and trap fields for hunters to warm up. It is also the home to area high school shooting teams. A lodge and clubhouse are available for after hunt socializing, meals, and overnight stays. Corporate hunts are welcome and guide service with dogs can be arranged to point the way for your Iowa pheasant hunting experience. AVAD Kennels is the home of our Epagneul Breton (French Brittany) pointing dogs. We are a licensed hunting preserve for pheasant, quail, and chukar. AVAD provides prime hunting habitat for game birds and working your dogs to create memorable experiences. High School trap is provided in conjunction with the Iowa DNR and Scholastic Clay Target Program. Participants learn life-long safe firearm handling skills, self-discipline, respect, responsibility, sportsmanship and get to participate in area meets and state competitions. Our clubhouse also hosts an annual Hunter Education course for those wanting to enter into hunting activities. The Epagneul Breton is a natural retriever with a great nose for birds. They are the smallest pointing breed in North America and can run all day and sit beside you on the couch in the evening. We acquire dogs from some of the top bloodlines available. Our dogs are hip certified and proven before breeding and are mated to bring out the perfect gun dog qualities desired.